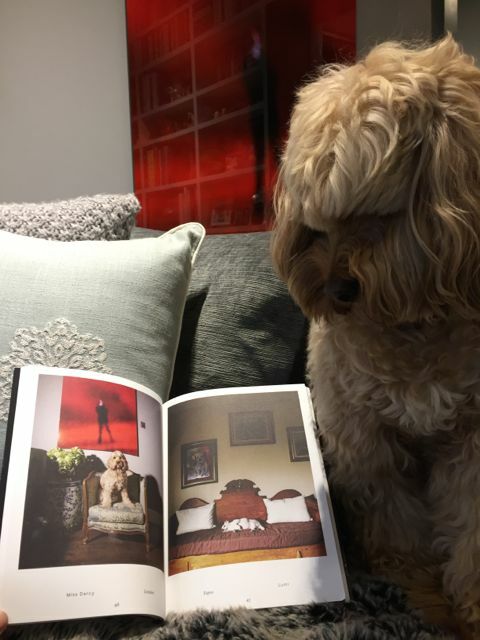 Look, that’s me in this lovely book of dog photography! And this is the lovely photo that Maija took of me! But we are no longer a One-Dog policy home. We have George too though he wasn’t part of us when this photograph was taken. 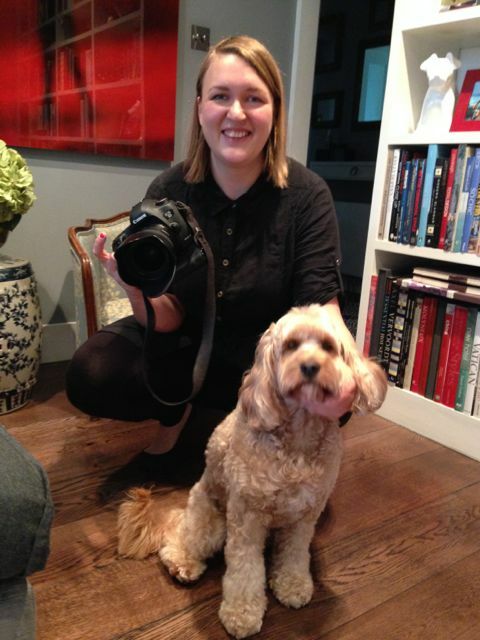 May’s comment: I came across Maija Astikainen, a Finish photographer through the internet and we got in touch with each other. Within weeks she was at our home shooting Darcy. Comment from Maija at the time of shoot – That was the easiest photography session. Darcy was an excellent poser! George didn’t exist then which tells us how long ago this has been going on. Now all her works are published in this lovely book called One-Dog Policy. Maija is Helsinki-based and her One-Dog Policy series is part of her photography masters thesis at Aalto University School of Art, Design and Architecture. 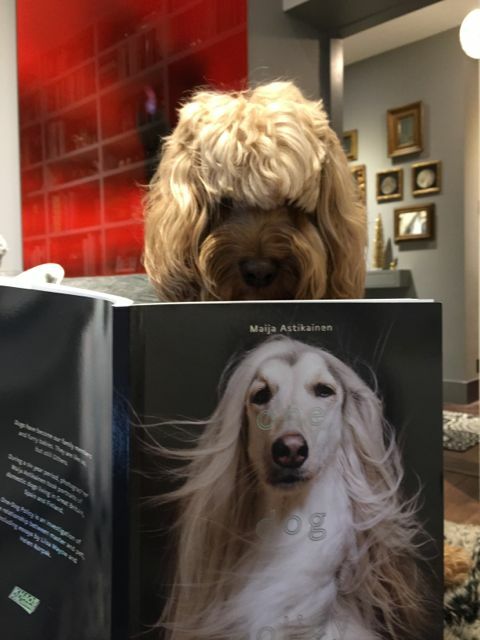 As dogs are the most common pets and often seen and treated more like one of the family members than animals, Maija has taken on a project to seek the human characteristics in our pets. Her series of portraits has been shot in multiple homes in Helsinki and Madrid. 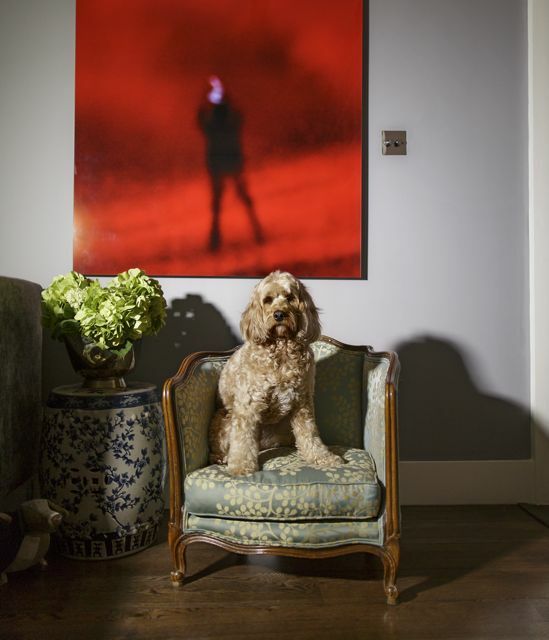 She is fascinated with the spaces and personalities of these dogs, capturing with lounging decadence and suspicious curiosity – her photography attempts to find the human qualities pets possess in living amongst us humans. “Dogs have become our family members and furry babies. They are like us, but still Others. During a six year period, photographer Maija Asyikainen took portraits of domestic dogs living in Great Britain, Spain and Finland. 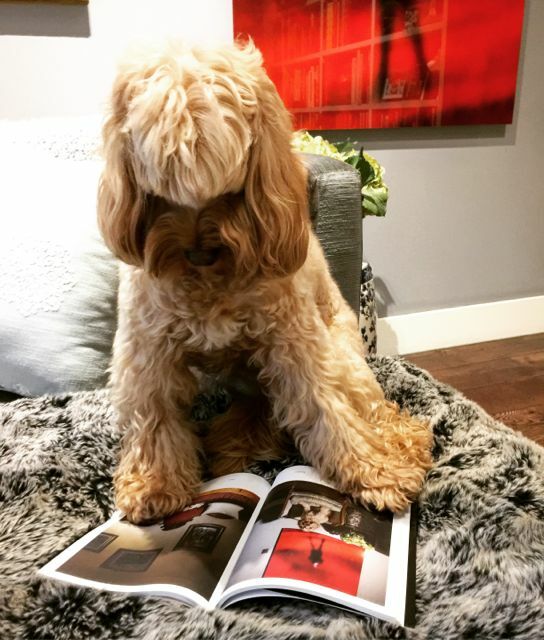 This book is available at One-Dog Policy website. You’re very photogenic Miss D. I wish I could get Elsie to pose nicely, usually when I squat down to take a photo she feels she needs to give my iPhone a good sniff! ← Wir waren im Fernsehen in Deutschland – auf RTL.